“Oh Goodie! Volume 3” premiering at C2E2! New editions & cons coming soon! It’s finally here! “Oh Goodie! Vol. 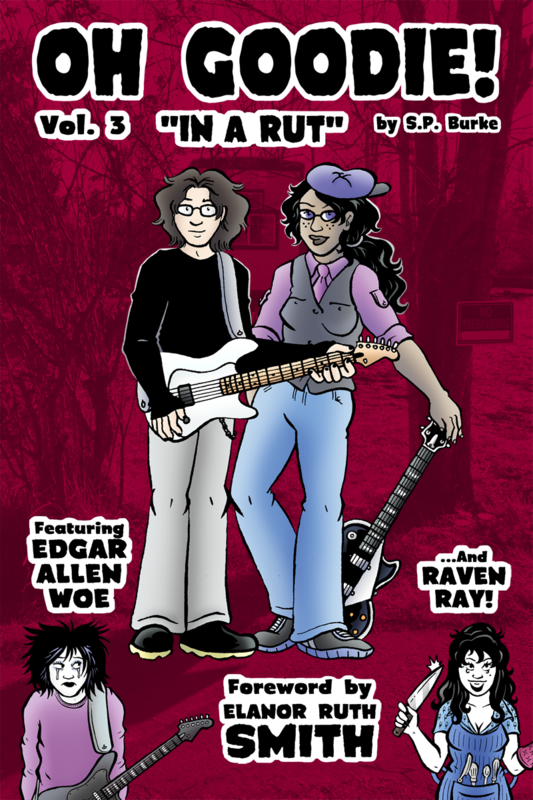 3: In A Rut” is complete and will be premiering at C2E2 next month. I’ll be making it available for online sale shortly thereafter. I’ve also been thinking about this for a while: before the end of the year, I’ll be releasing new editions of Volumes 1 & 2, which will feature new covers and other changes (though make no mistake, the comics themselves will be unchanged). I’ll also be announcing new cons I’ll be displaying at shortly, but any after C2E2 are unconfirmed so I won’t be saying anything unless it’s for certain. It’s been a long, weird, confusing road finally finishing this volume, but it’s done and I’d like to thank everyone who helped me along the way while making it. Let’s take a minute to listen to the song that inspired the title in the first place! You’re in a rut! You’ve got to get out of it!